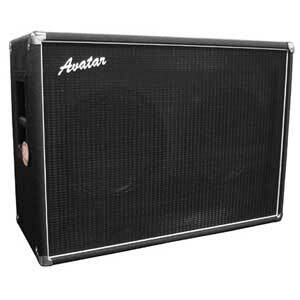 This is the Great looking and Great sounding AVATAR G212T cab. All six sides of this cabinets are 13 ply birch. The cabinets come with your choice of partial open oval back or closed back panels. 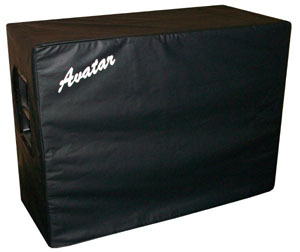 Deluxe fabric grills color choices are Wheat, Black, Fender, Oxblood, Oxblood w/Gold stripes, Silver/Black weave, Gold/Black weave. Choice of White, Gold, Silver or Black piping adds a nice finishing touch around the grill frame. The cursive logos are standard unless a small metal logo is requested. We can also orientate these cabinets in a vertical mode also if you want to run them upright. We just relocate the feet and logo so you can stand them on end. 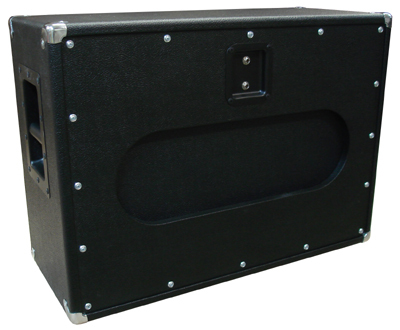 The G212T Custom cab is easy and portable and goes great with combo amps, heads and rack systems. The Premier cabs are also very versatile because you can pick and choose from a wide variety of speakers. Check out the Celestion specs, descriptions and sound samples to help you decide which are the best speakers for your personal requirements. The best is the G212T cab with two Celestion Alnico Blues or Golds. One Alnico Blue and one G12H30 is also very sweet sounding. Both of those two cabs are favorites with guys with high end tube amps. Lately, the popular thing in many of the tone chat rooms, has been mixing two different speakers. A very popular mix is to have one Celestion G12H30 Anniversary and one Celestion Vintage 30, which is the best of both tone worlds. The G12H30 is rich with a warm break up and the Vintage 30 has more presence in the midrange frequencies. Or people use one Hellatone 30 and one Hellatone 60, which are the same speakers as the Vintage 30/G12H30 but just slightly broken in here at our facility. The tone distinction between open or closed back is that you get a more focused tone and more bottom end in a closed back cab. Where an open back cab lets the mids and highs from the back of the speaker cones out into the room, giving more of a larger spatial quality. The cab is built with the front and back board dadoed into the surrounding top, bottom and side boards making it very strong. These interlocking side joints give extreme strength to the cab which is where we often hear, “Built like a Tank” in our reviews. The speakers are rear mounted with T-Nuts. 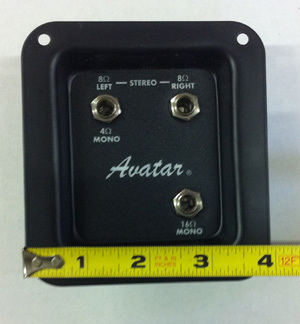 It has two 1/4 inch in/out jacks (for daisy chaining with another speaker cab) mounted on the steel input panel. 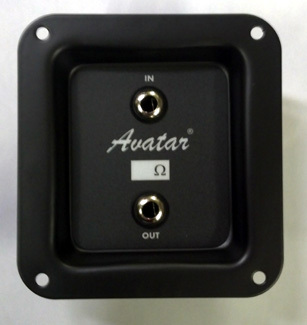 Available in ONE of the following speaker configurations: 4 ohm mono, 8 ohm mono, 16 ohm mono, 8 ohm stereo, and 16 ohm stereo. It has protective nickel corners, large recessed steel bar handles and sturdy rubber feet. (rubber feet have been cropped out of the pictures but are there). All guitar cab grills are secured by screws, not cheap Velcro. 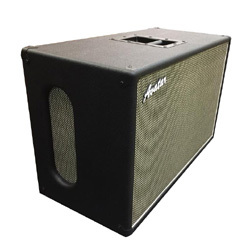 The dimensions are 21″ H x 28.5″ W x 12 ” D. Weight is approximately 65 lbs with ferrite or alnico magnet speakers. One year limited warranty. Speaker cabs are not sold on a trial basis and are not returnable.